We want the biggest and the best. The motor-vehicle industry understands this well and brings out a shinier, slightly faster, slightly fancier model each year. And we all fall for their tricks. The fashion, entertainment and even the safari industry is based on this model. We keep on looking for bigger elephants, taller giraffes and hungrier lions than the ones we’ve already seen, ensuring guests return to destinations like South Luangwa National Park season after season. Maybe the leopards would have changed their spots by next year? But it is also human nature that, without the alternative of bigger, better and faster, we are very satisfied with what we have. And again, my theory applies to the safari industry. I’ve been to parks and reserves where there are no big cats, for example. There, guests are happy to stop and stare at an impala going about his business. 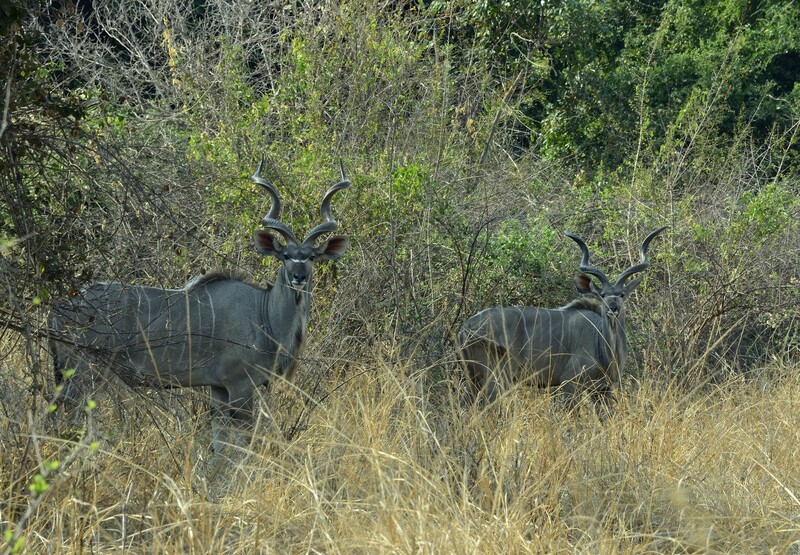 Suddenly we stop and stare at kudu, admiring their stripes and their horns, and we find out that we actually like looking at kudu. Why? Because there is nothing “better” to go and find. 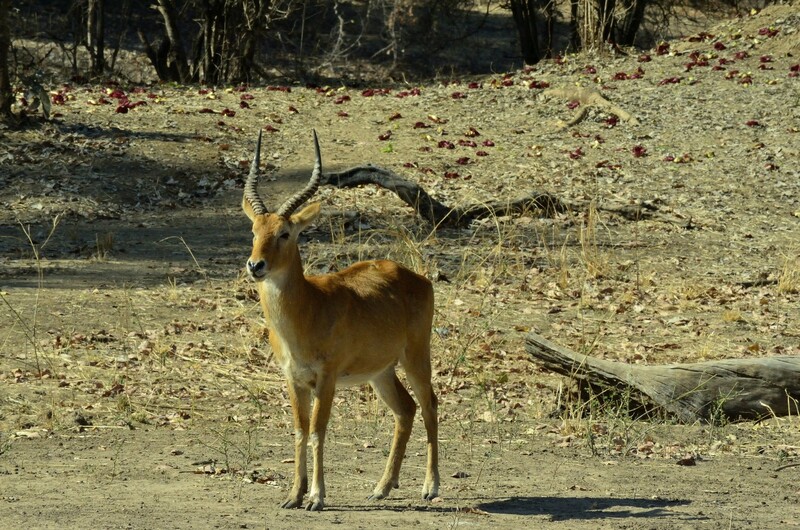 In South Luangwa National Park we do have the option of finding bigger, faster and more dangerous animals and guides and guests alike tend to forget about the smaller, the prettier and (very often) the more interesting animals. We stop and stare at a sleeping lion for ages, but rutting impalas receive a cursory glance and maybe one or two photos. 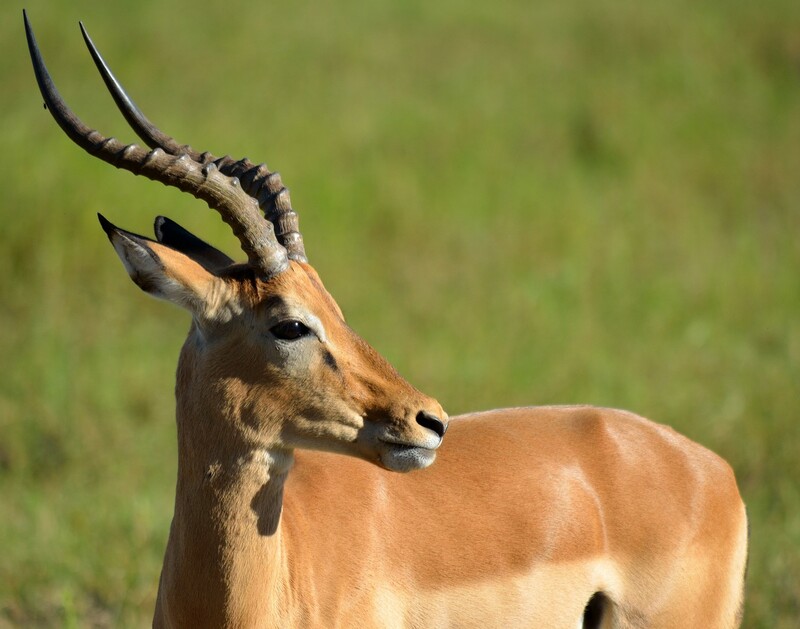 The impala (Aepyceros melampus) is a medium sized antelope weighing anything between 40 and 70 kg when fully matured. It’s the most commonly seen mammal in most National Parks in Southern and Eastern Africa.Because there are so many of them, we tend to not stop and stare as much, because in the back of our minds we would rather watch something with big teeth. But take a closer look next time – they are worth spending some time with. 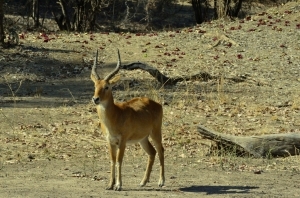 Seasons influence impala social behaviour. March, April and May see almost a third of adult male impala establish and defend territories – only landlords get to mate. They often neglect to feed in their bid to become the ultimate ungulate but no food means no energy and after a couple of days a new male will come in and take over. This leaves the original male with no choice but to join a bachelor herd of males (the remaining two-thirds of the male population), with its own distinct hierarchy. Females, who wander in and out of territories depending on their need for food, water and shelter are constantly herded by the territorial males – the longer they stay, the more females he can mate with. June sees peace and tranquility restored among the Luangwa impalas and a few months later (usually September) the females start showing that they are pregnant. With the first rains in November the babies are born, never more than one per female. It’s said that female can ‘hold-on’ to their babies if the rains arrive late. One of Africa’s most recognizable antelopes, a Greater Kudu bull (Tragelaphus strepsiceros) weighs in at almost 300kg with a set of spiral horns to stop and stare at. Kudu cows are smaller than bulls, and has no horns, but both sexes sport white stripes down the sides of their bodies. Bulls join breeding herds during mating, but the rest of the year can be found in bachelor herds of 2 – 10 animals. 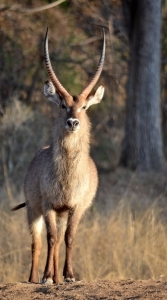 Despite its size, kudus are remarkbly agile creatures. Their size means they can avoid comptetion for food with the smaller antelopes like bushbuck and impala, but are not tall enough to comptete directly with giraffe. If your out on a walking safari and you find kudu droppings, always remember that they are the perfect size for a game of “Kudu-dung-spitting” in which the contestant that can spit the small balls the furthest is declared the winner. I would not recommend taking on Wildlife Camp’s guides, however, as they have been known to reach distances of up to 3 meters! It happens sometimes that you show guests a warthog (Phacochoerus africanus) and two minutes later somebody in the car is quietly humming Hakuna-Matata. But there is much more to warthogs than just song and dance. 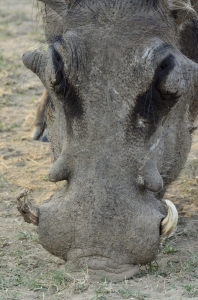 The name warthog comes from the warts these pigs wear on their faces. Boars have two sets of prominent warts while sows and young have mere bumps on their faces. The tusks (especially in males) are formidable weapons and not to be messed with! So important are these tusks, that young grow white tufts of hair on their faces to resemble tusks – this makes potential predators think twice about having bacon for breakfast. Warthogs are predominantly grazers and often use their snouts as shovels to get to the juicy plant bits underneath the ground. Late September is usually a good time to stop and stare at warthogs as this is the time when the babies start showing themselves. Because they give birth in burrows, this time of the year is ideal. Piglets are tiny and hairless after birth and will remain in the burrow 6 weeks before they start exploring their new world. The timing means that in case of early rain, the babies will be strong and independent enough to escape the burrow to avoid drowning. 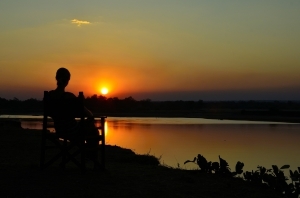 Ever felt like exploring the Luangwa Valley and all its inhabitants – big or small? Wildlife Camp is currently offering a “Sunset Special” which gives you one night free in our bushcamp if you book and stay 4 nights full-board with us before the end of October this year. Our little intimate bushcamp is the perfect place to stop and stare. It’s an offer to good to miss. That is all for this edition of Wildlife Camp’s newsletter. Warm Regards from all of us!